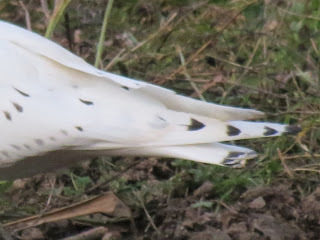 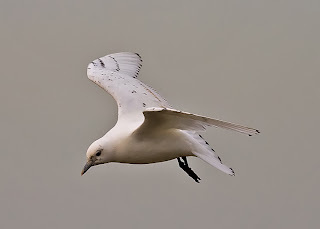 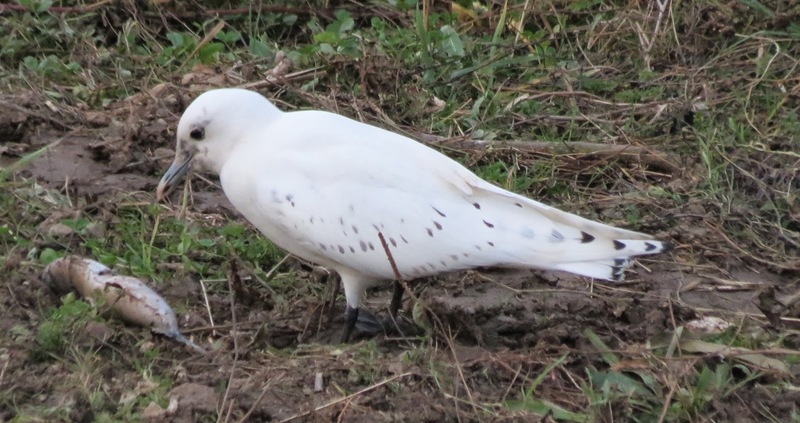 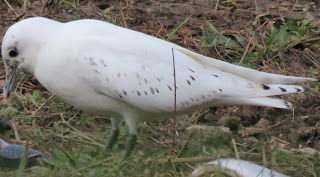 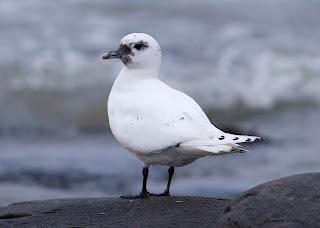 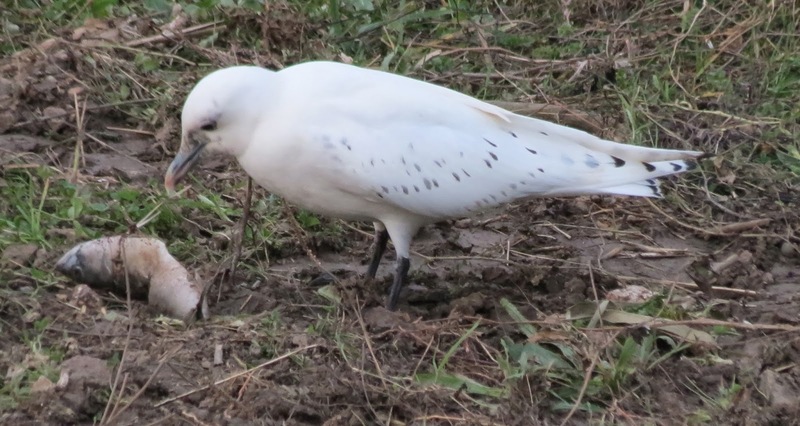 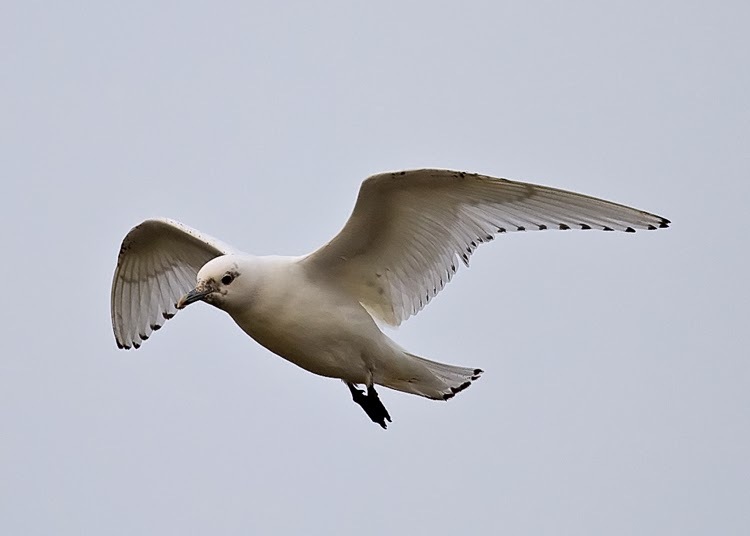 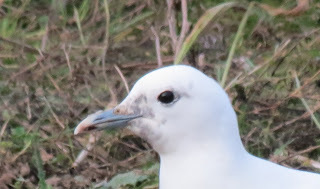 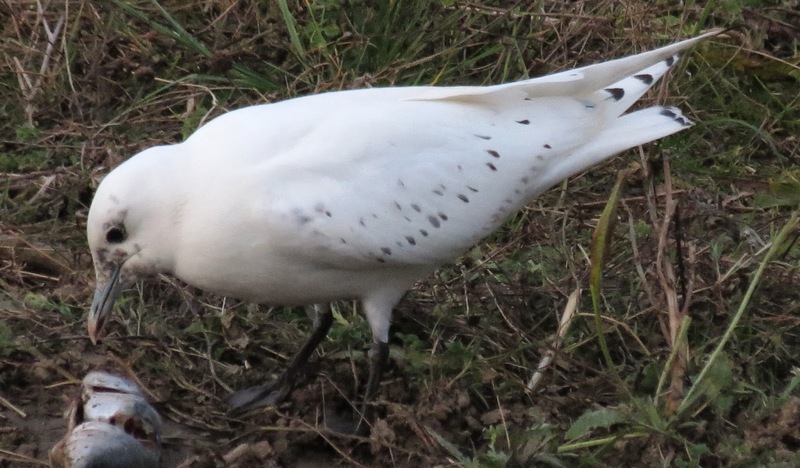 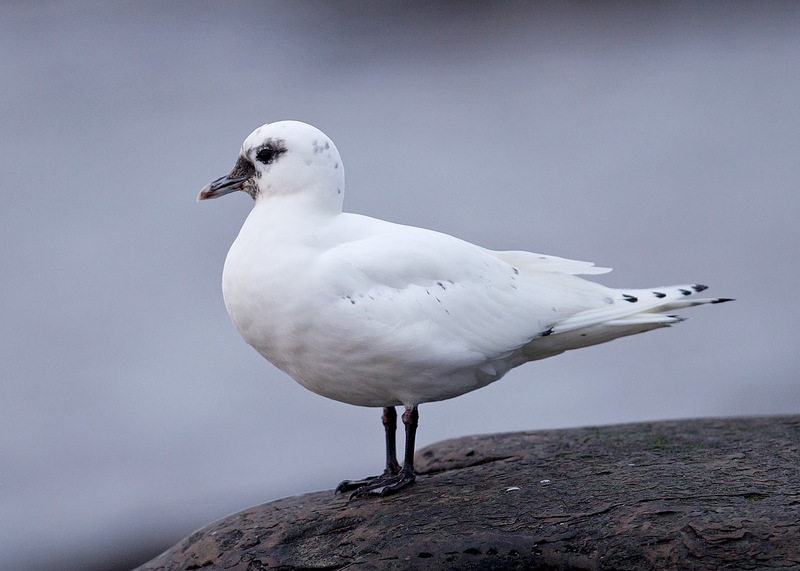 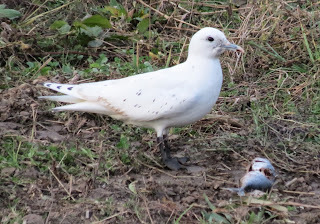 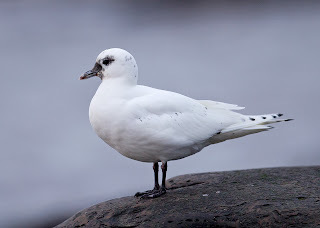 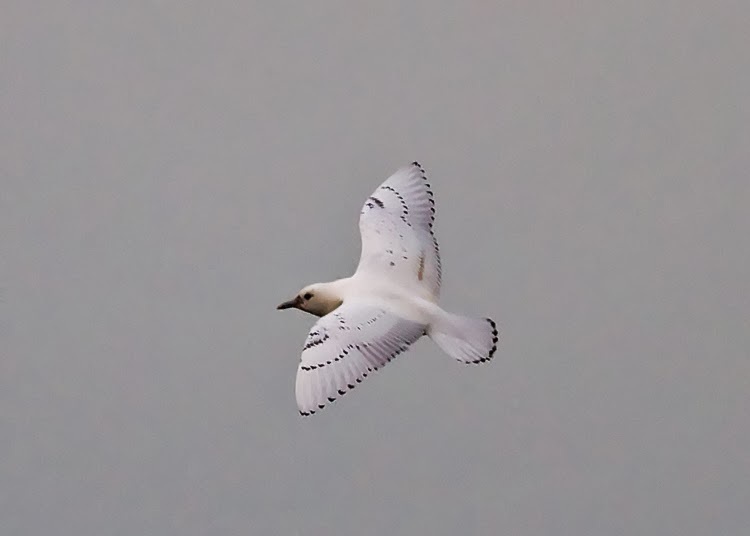 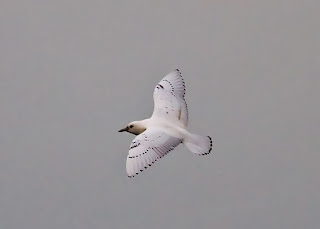 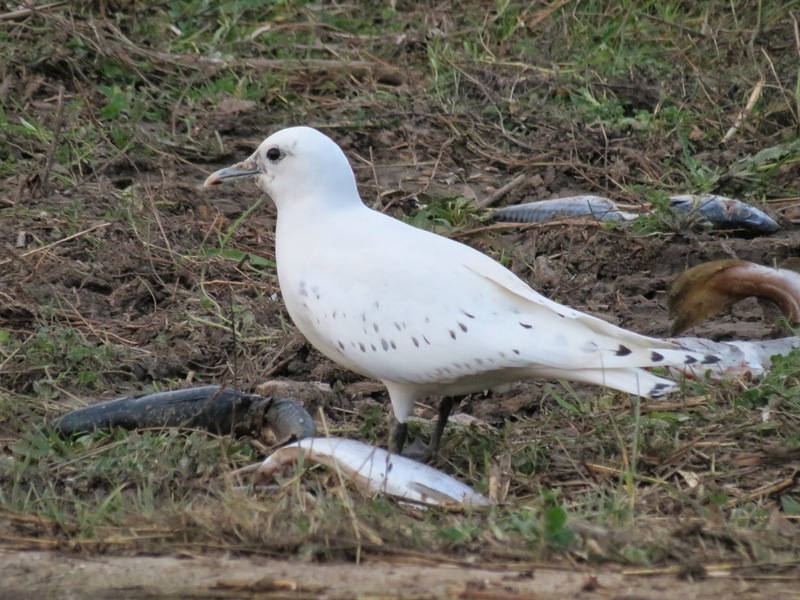 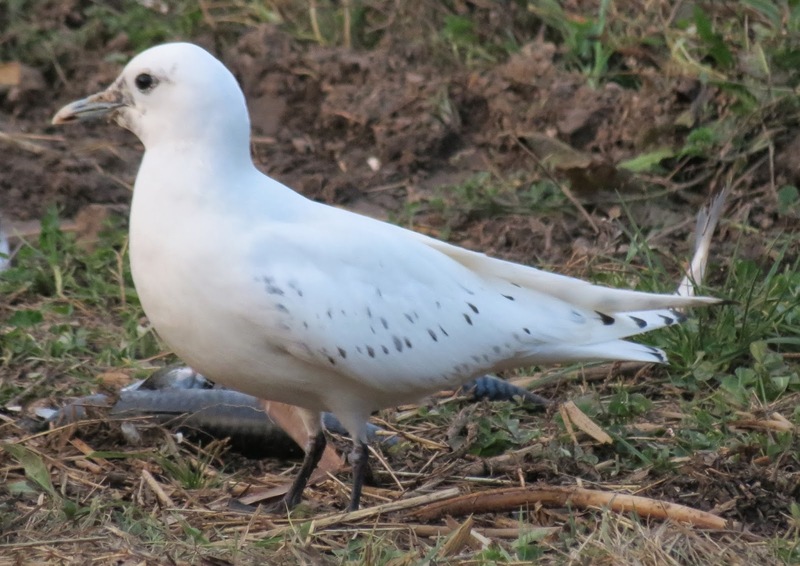 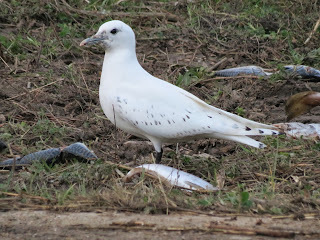 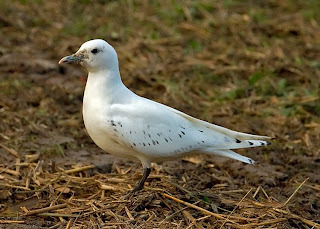 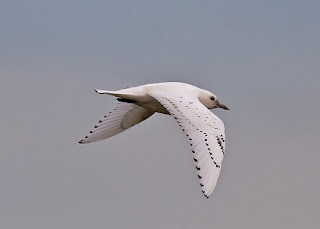 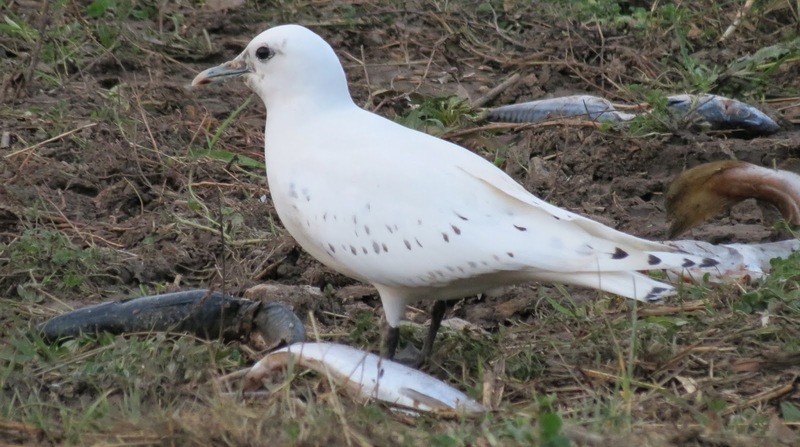 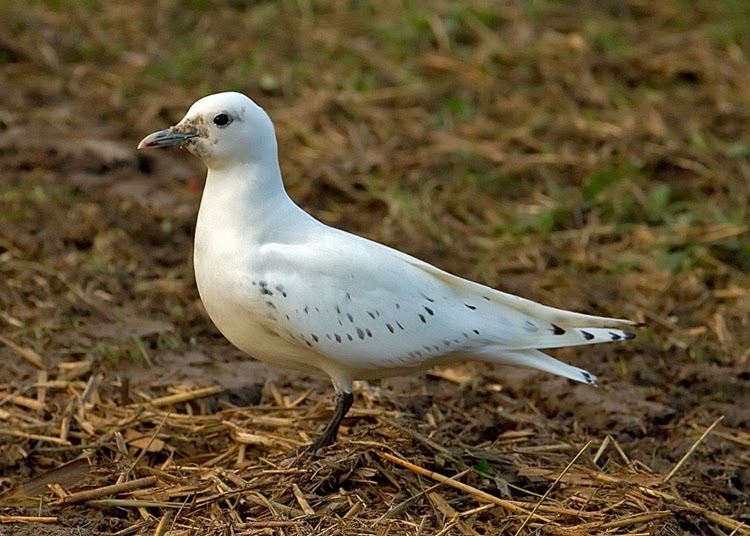 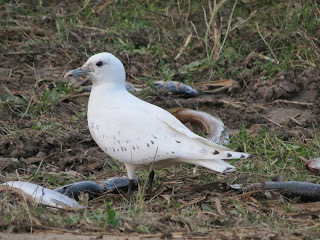 On par with a mammoth influx of juvenile Snowy Owls in North America (involving at least 750 so far), the UK has experienced its largest-ever influx of first-year IVORY GULLS from the Arctic ice-shelf. 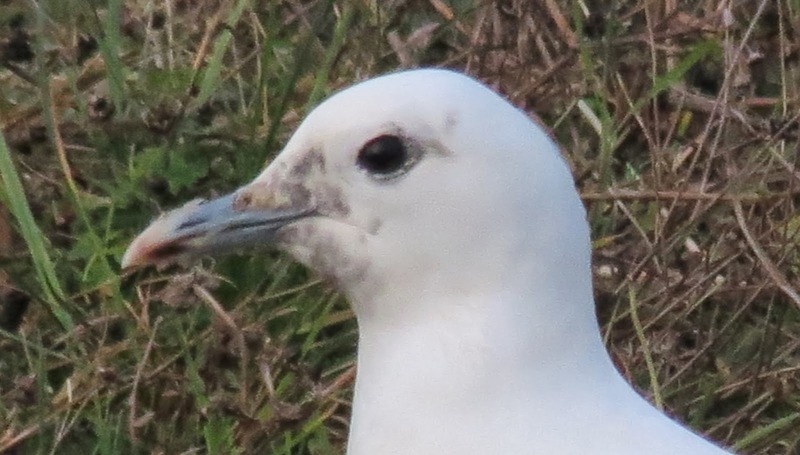 A first-winter showed well by the coastal car park on Baleshare, North Uist (Outer Hebrides) on 4th December, whilst Dave Pullan watched a first-winter fly southeast past Tarbat Ness (Highland) the following day. 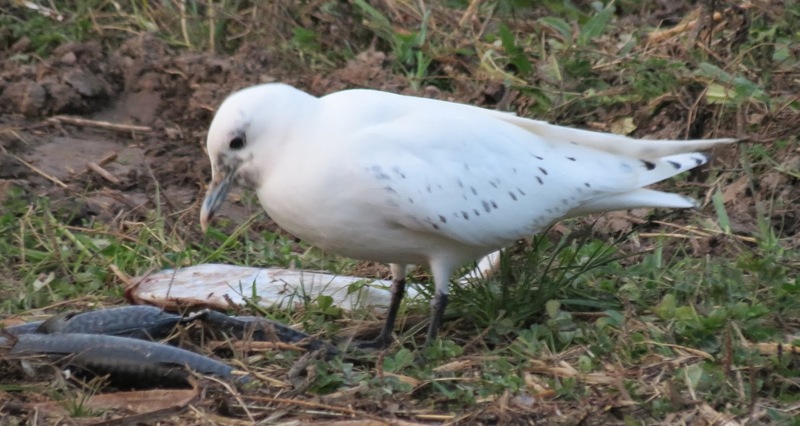 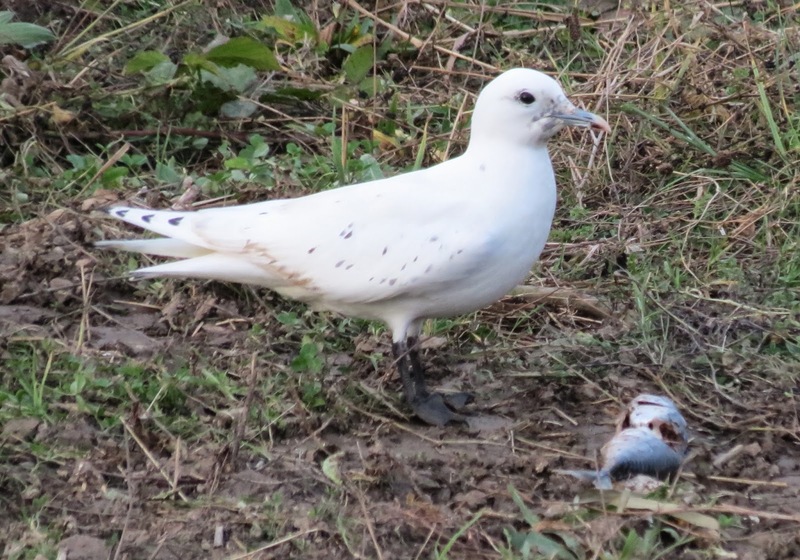 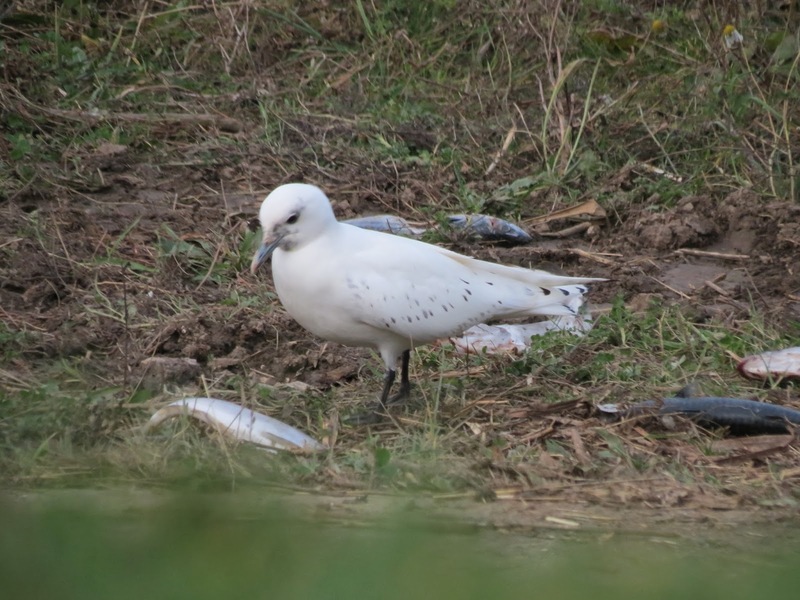 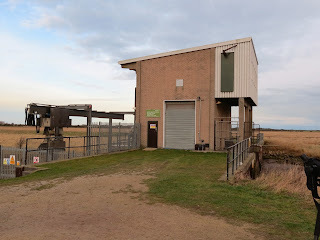 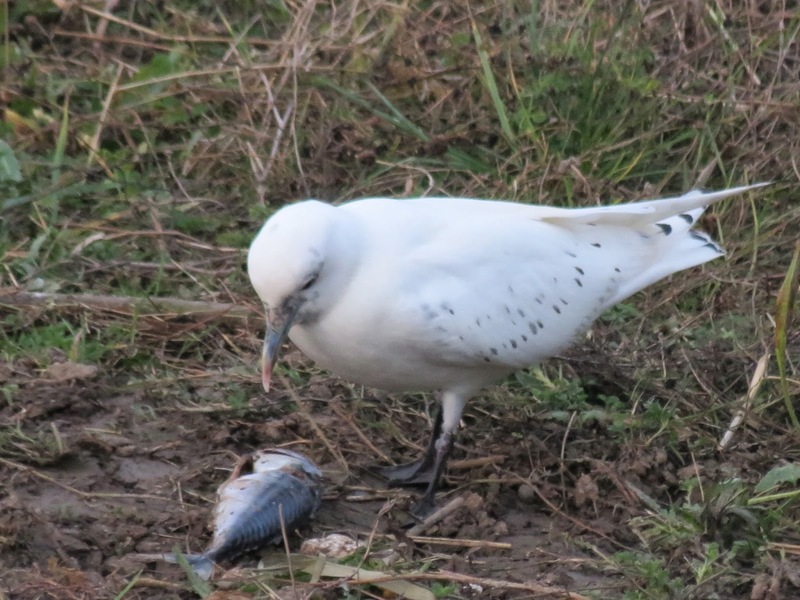 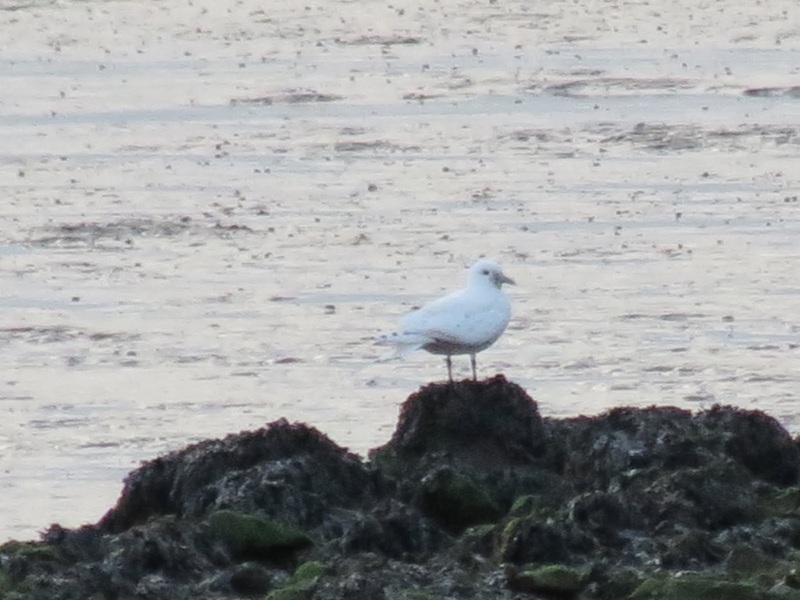 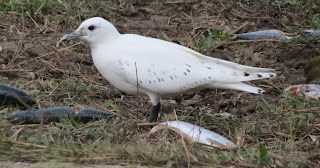 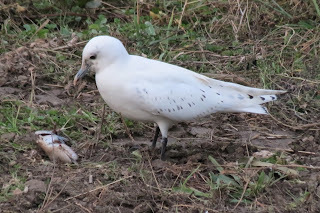 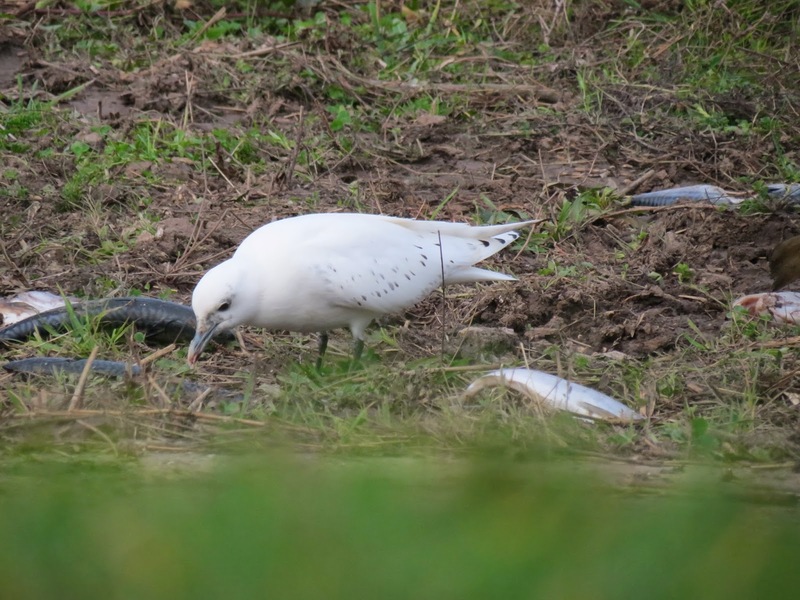 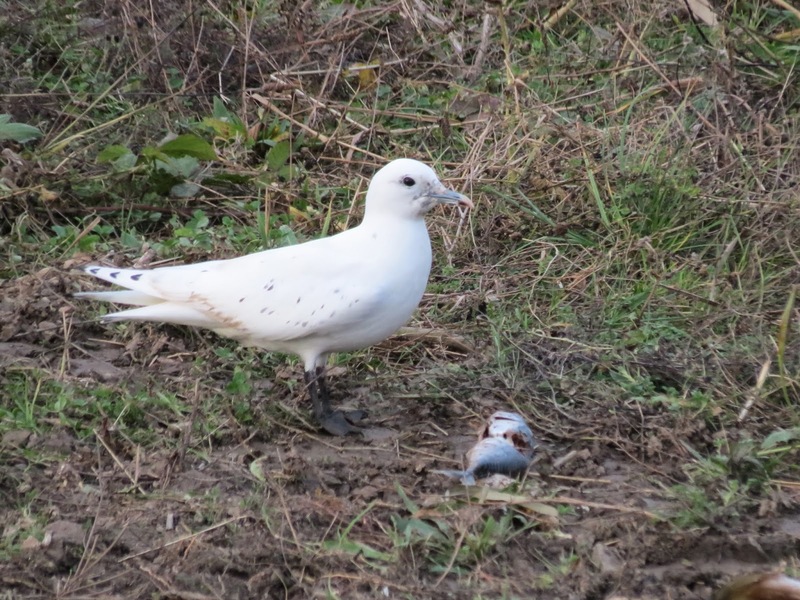 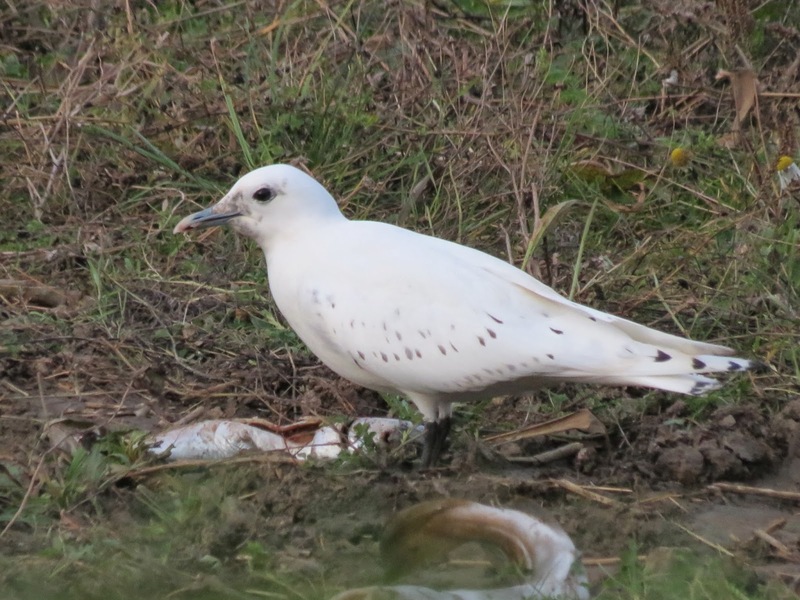 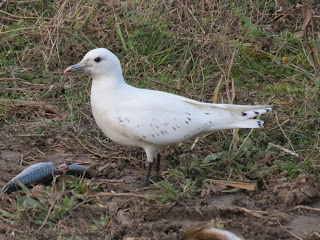 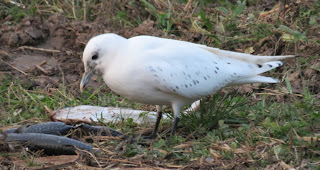 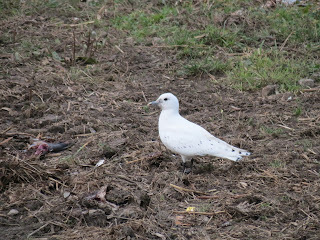 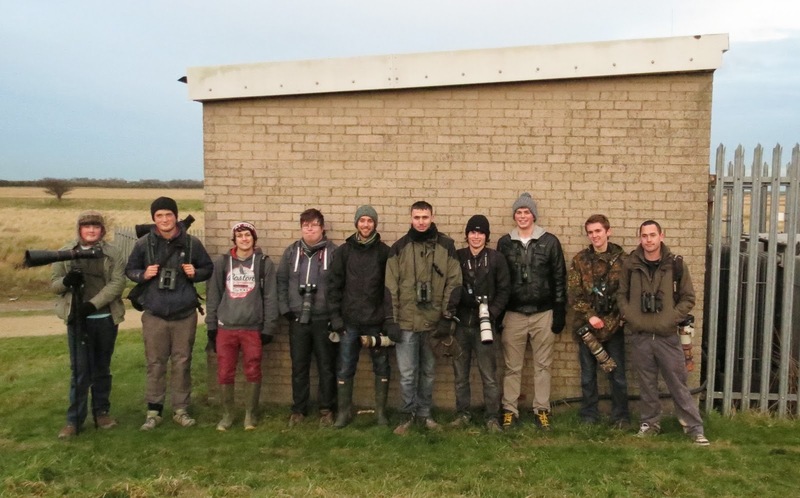 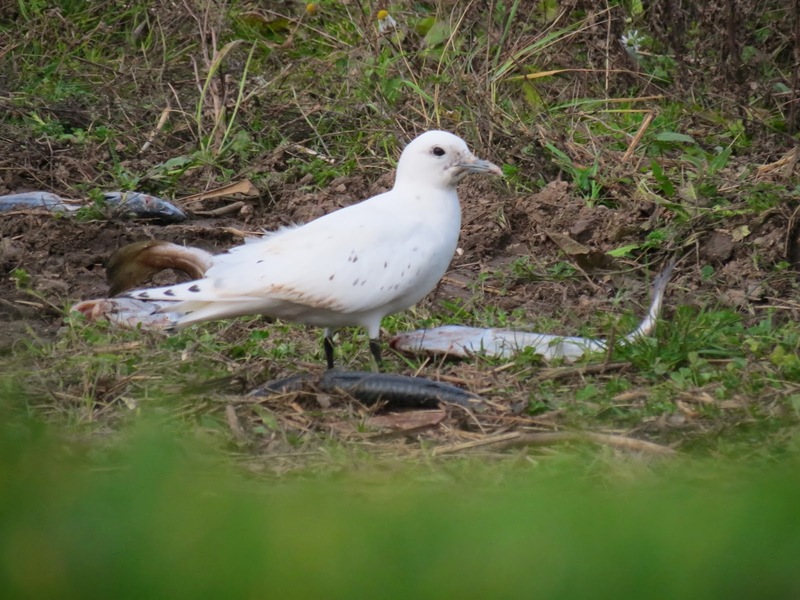 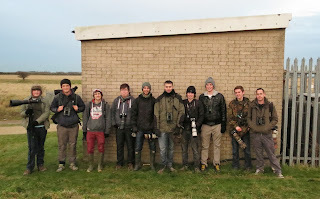 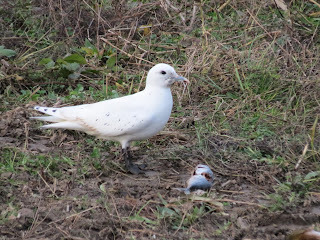 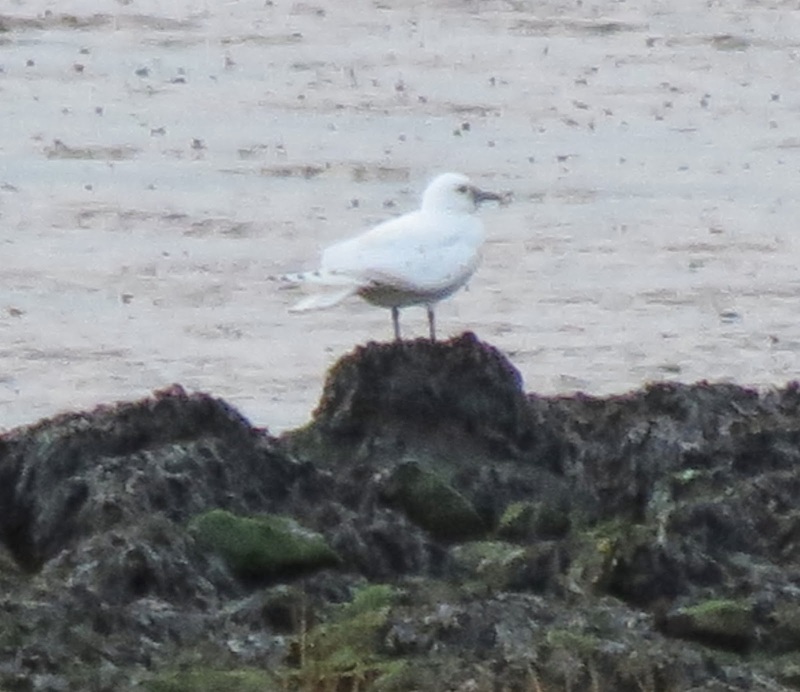 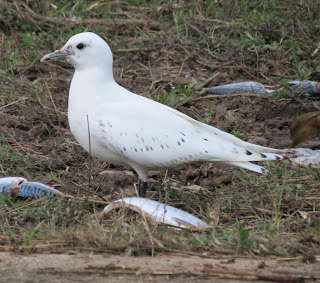 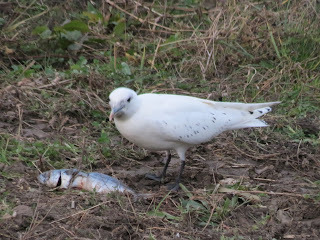 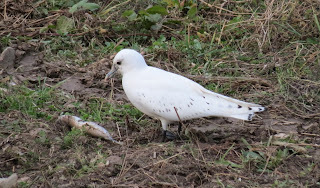 The first of two birds was then located at Seahouses Golf Course (Northumberland) on 7th December, the two birds commuting between there and the beach throughout the rest of the day. 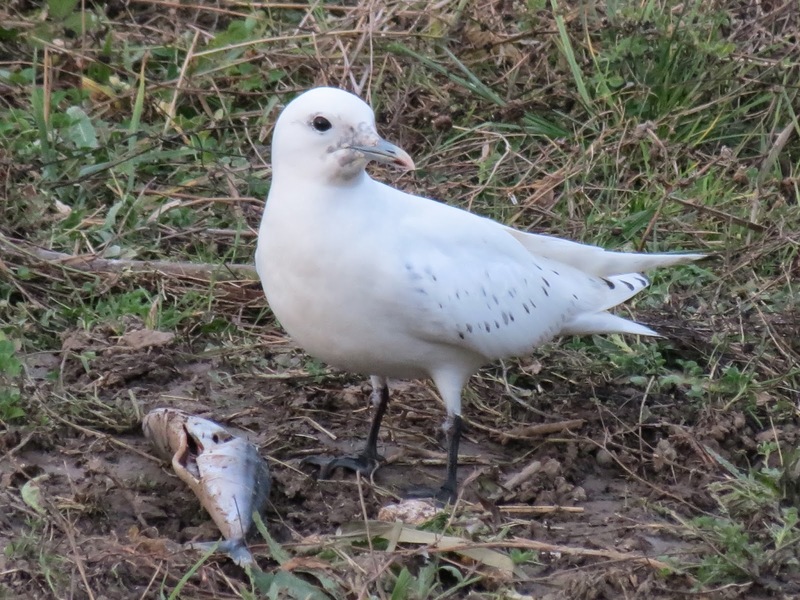 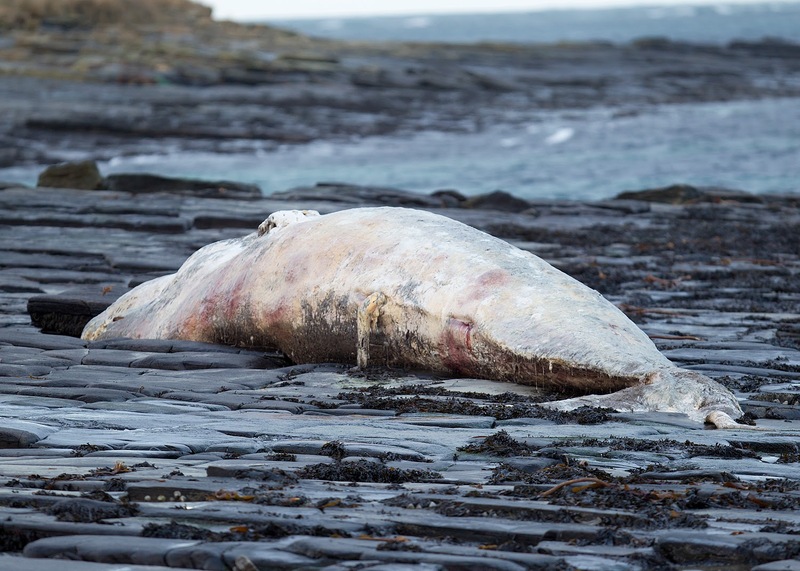 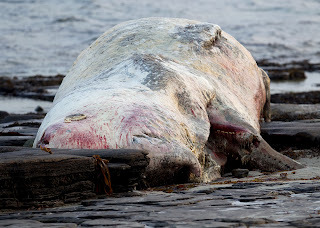 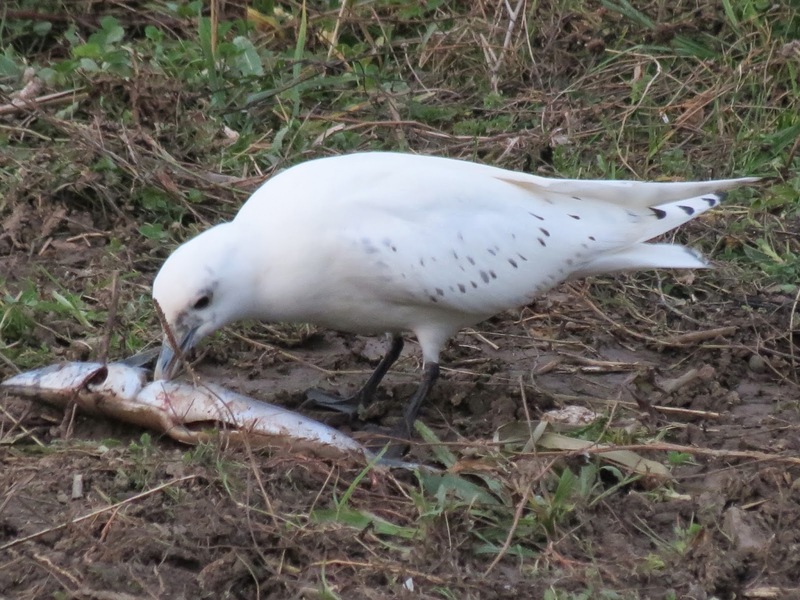 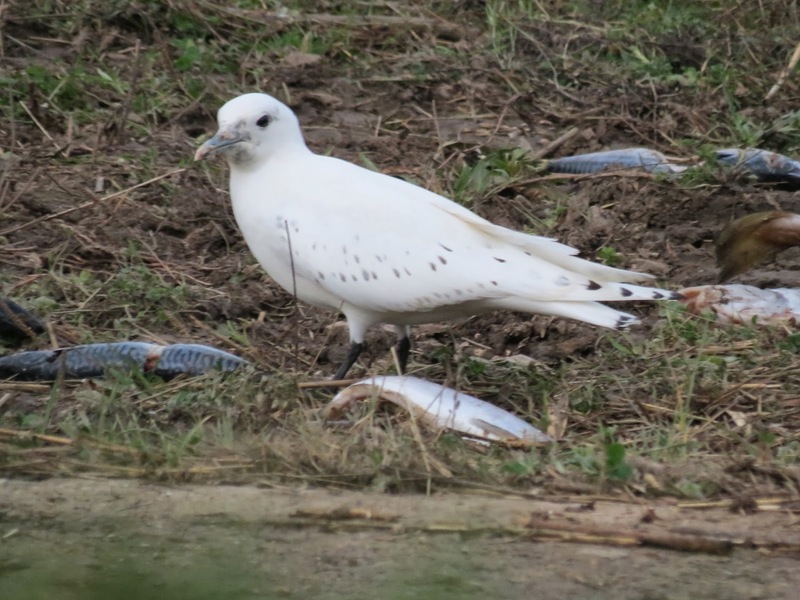 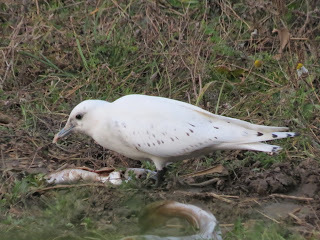 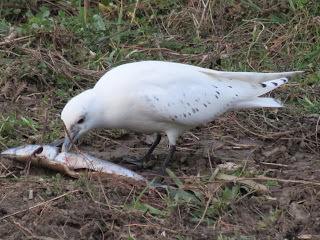 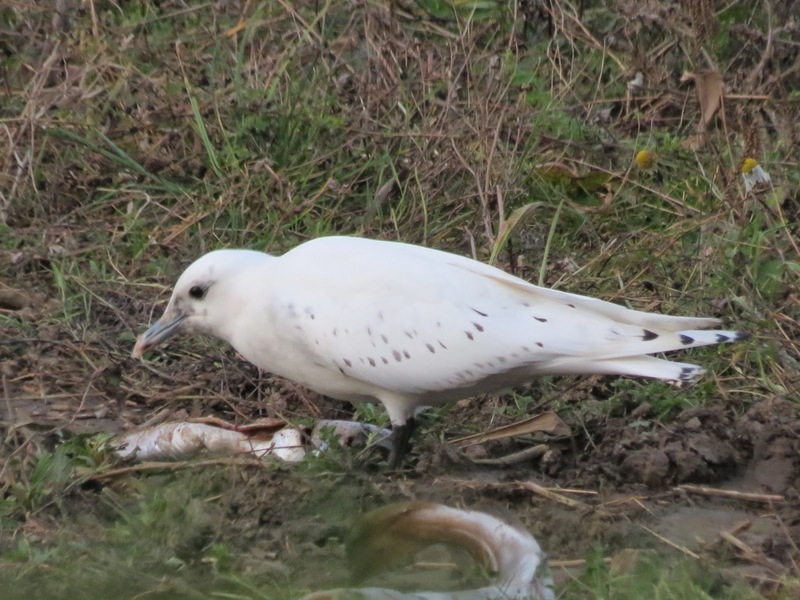 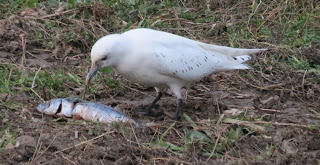 That very same day, one visited Boddam Fish Factory (Aberdeenshire), before the first long-staying bird pitched up on a dead male Sperm Whale on Orkney at Evie on 12th December. This individual lingered for three days before disappearing. 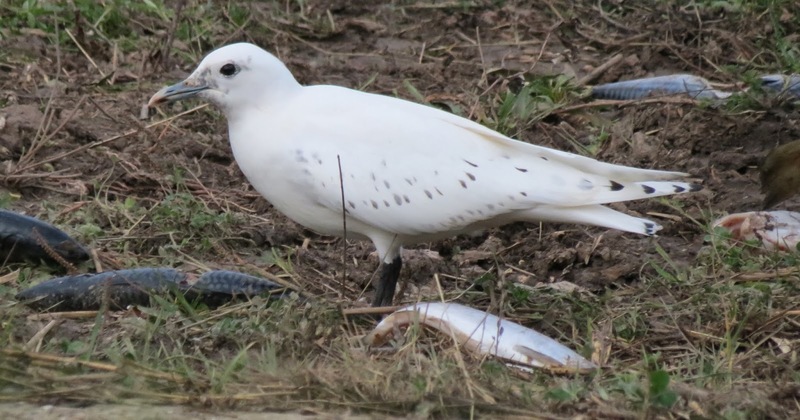 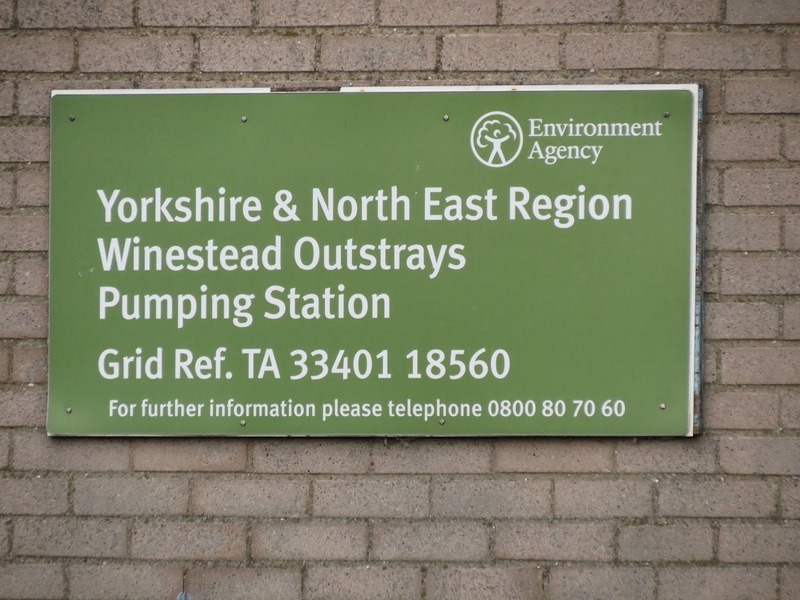 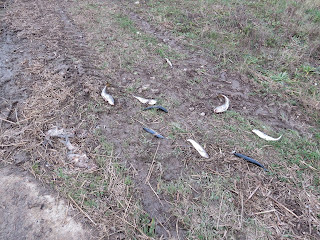 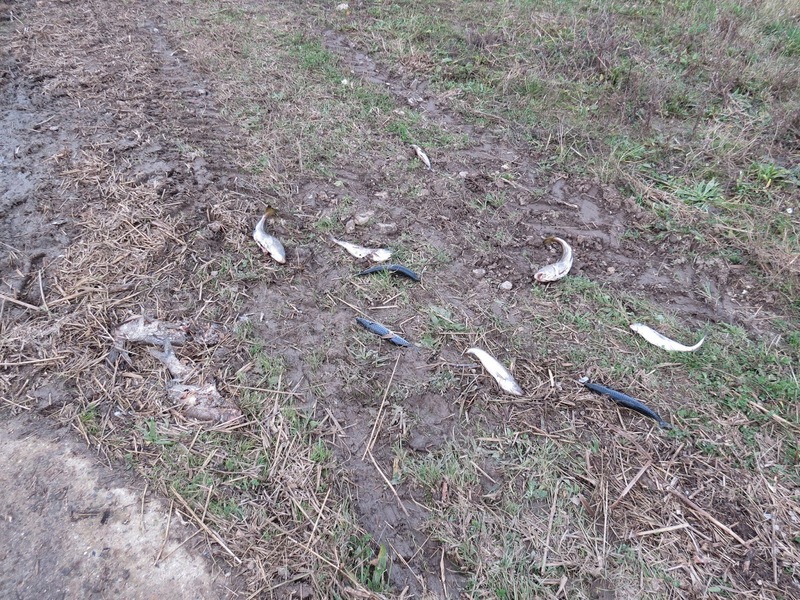 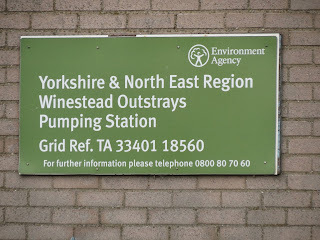 The influx was presumably as a result of an excellent breeding season coupled with the terrible Winter Storm that travelled from Greenland and produced an enormous tidal surge, the largest in 60 years.